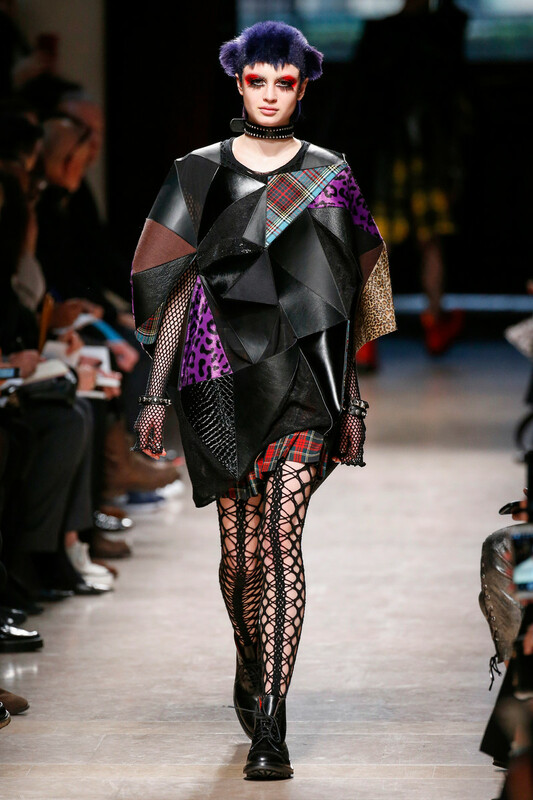 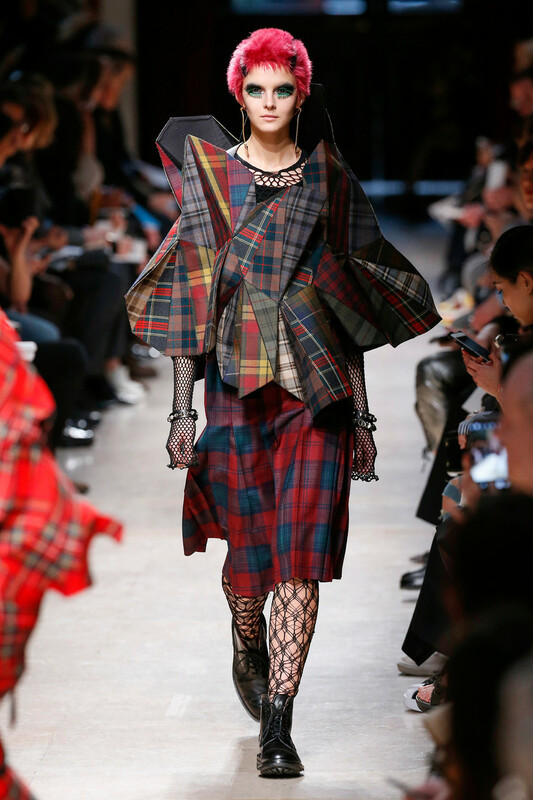 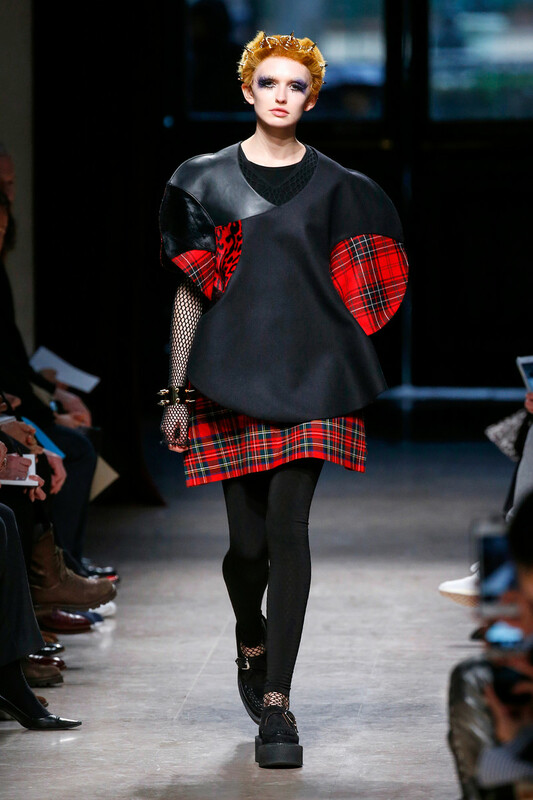 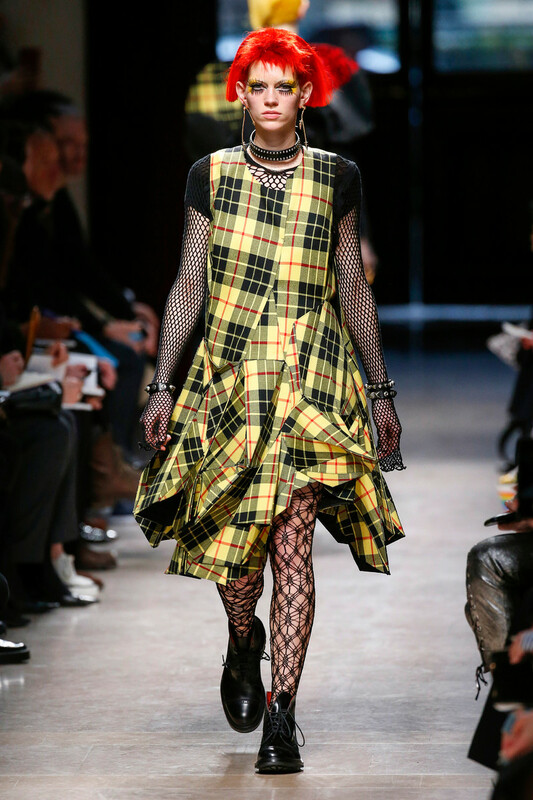 Junya Watanabe likes the ounk-era and this time het drew inspiration from the source: London. 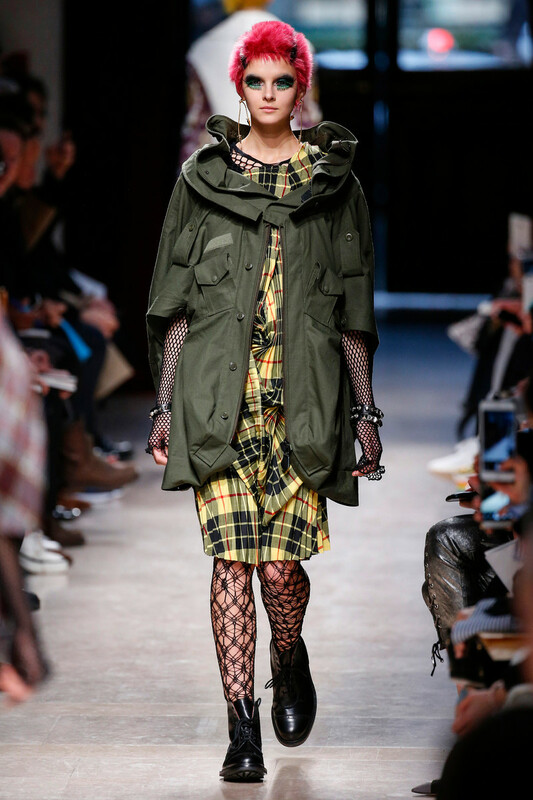 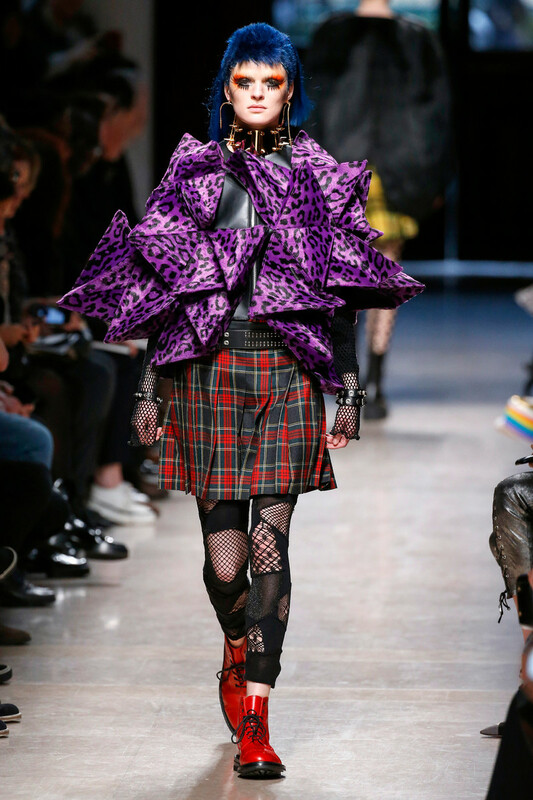 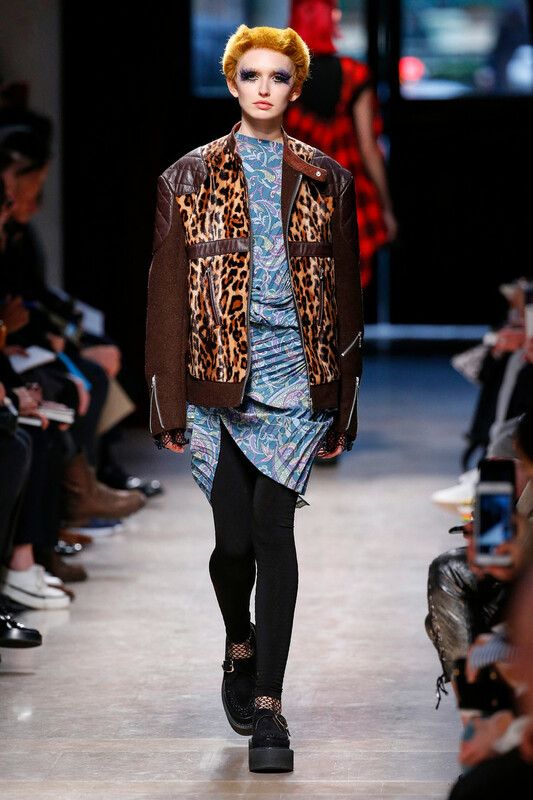 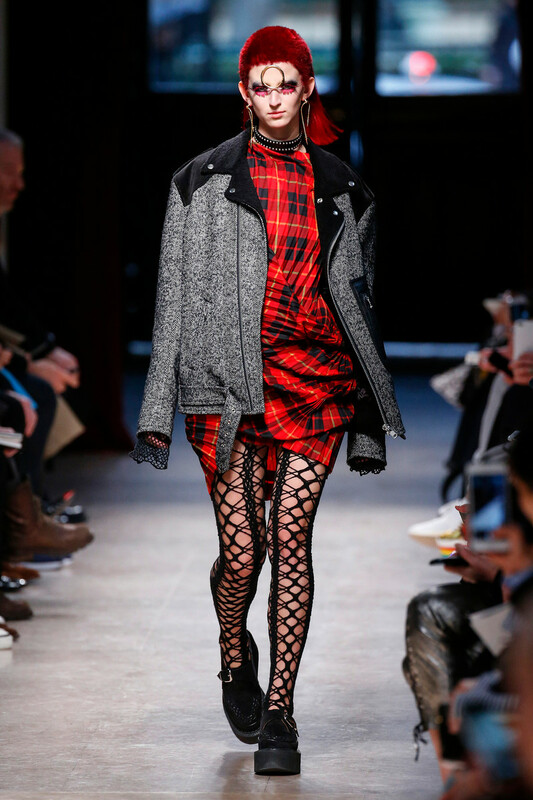 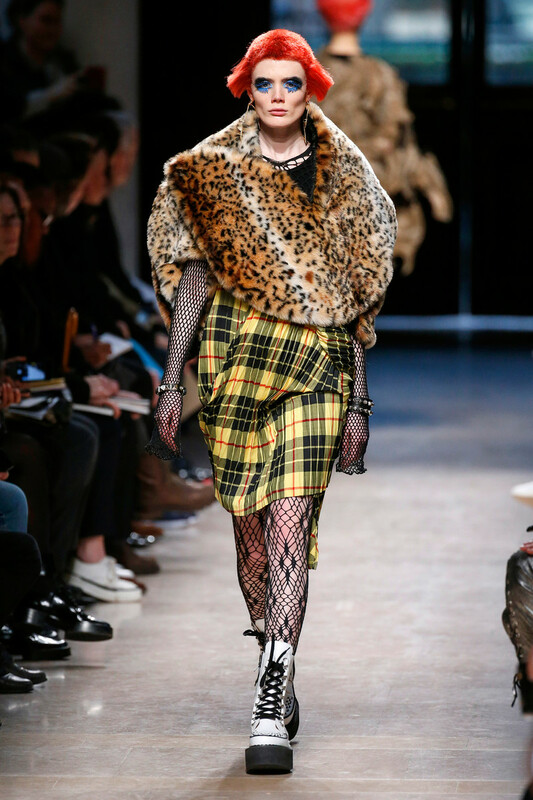 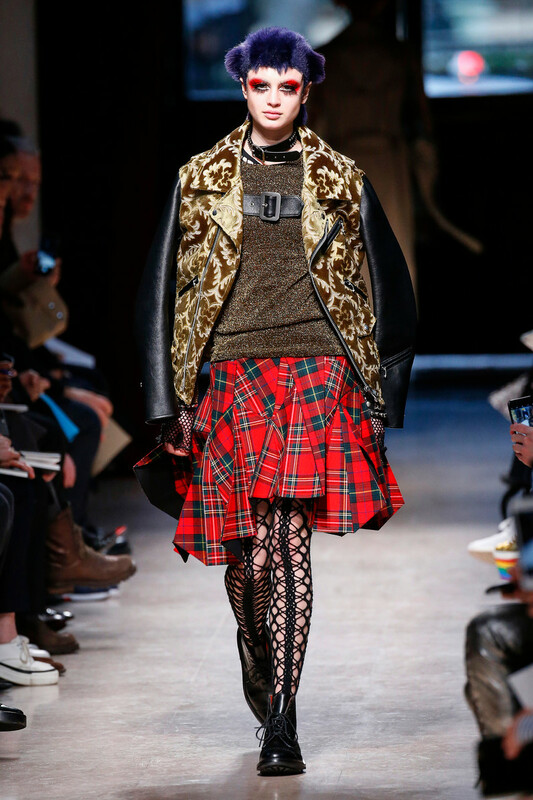 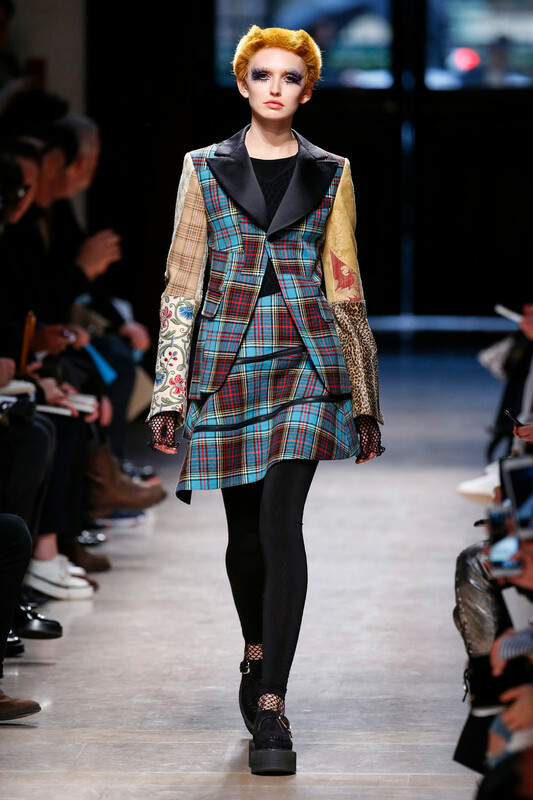 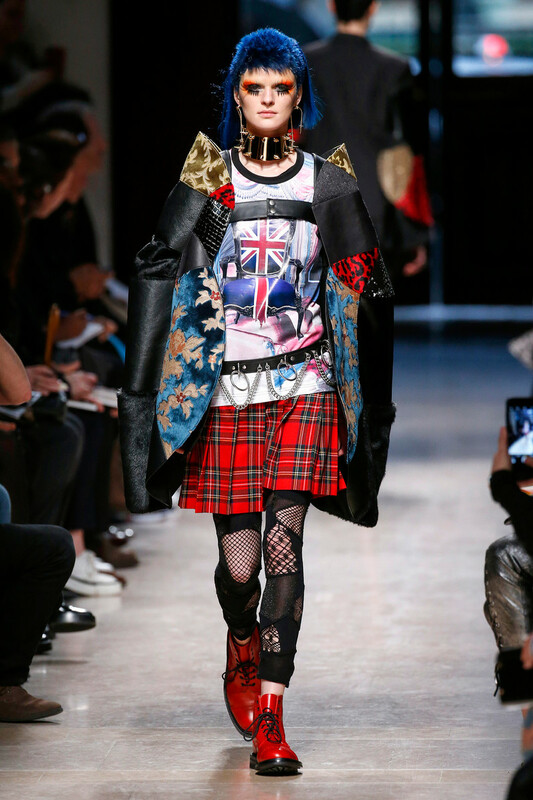 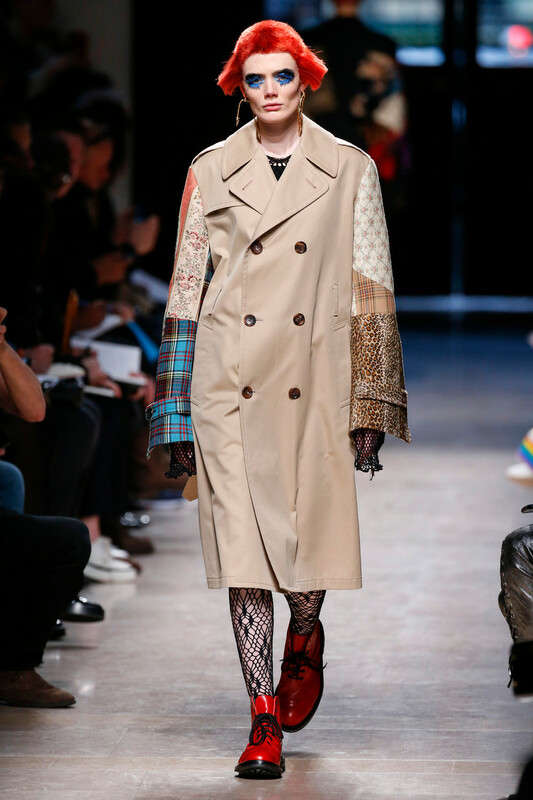 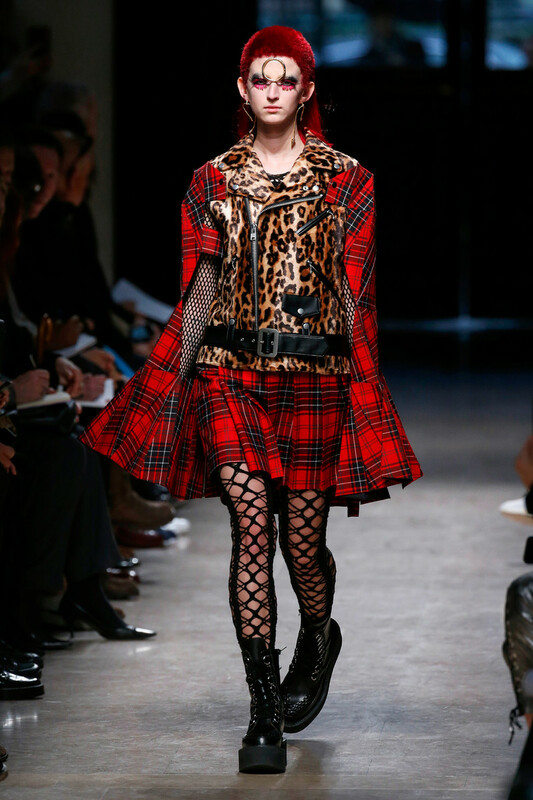 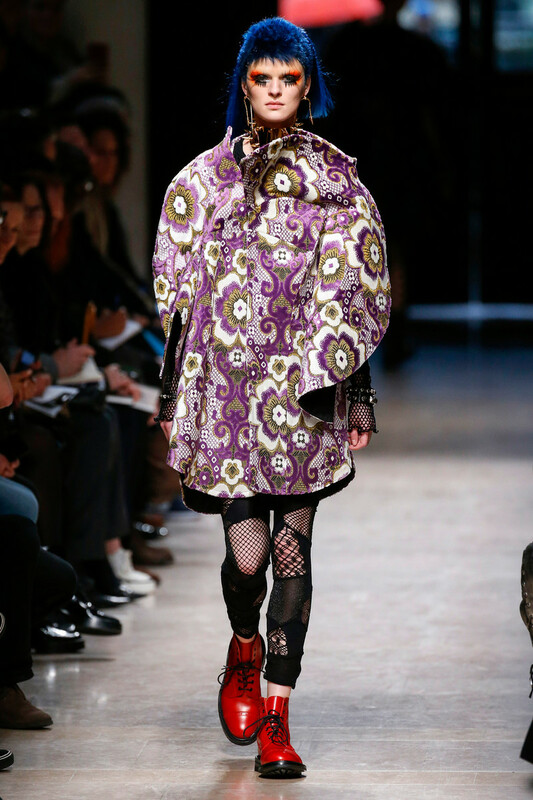 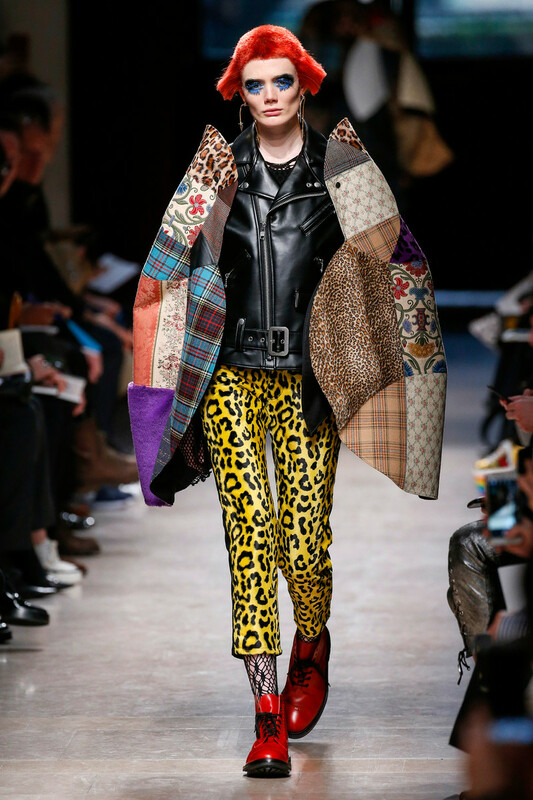 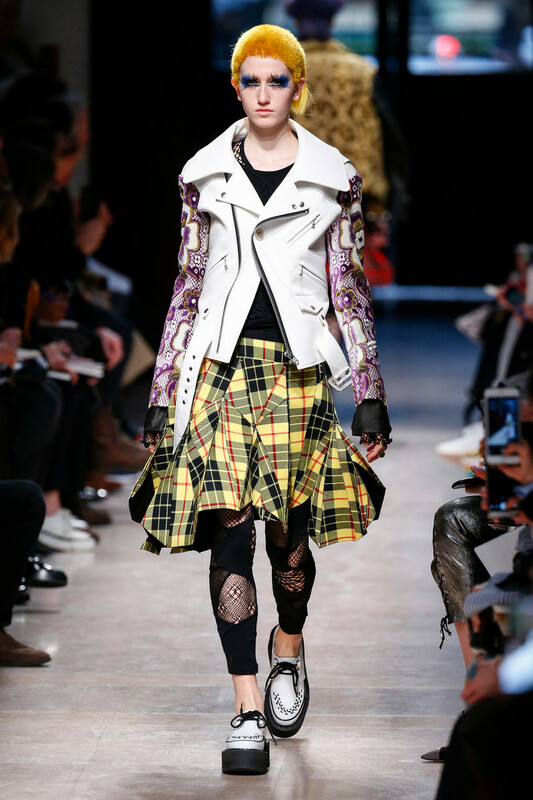 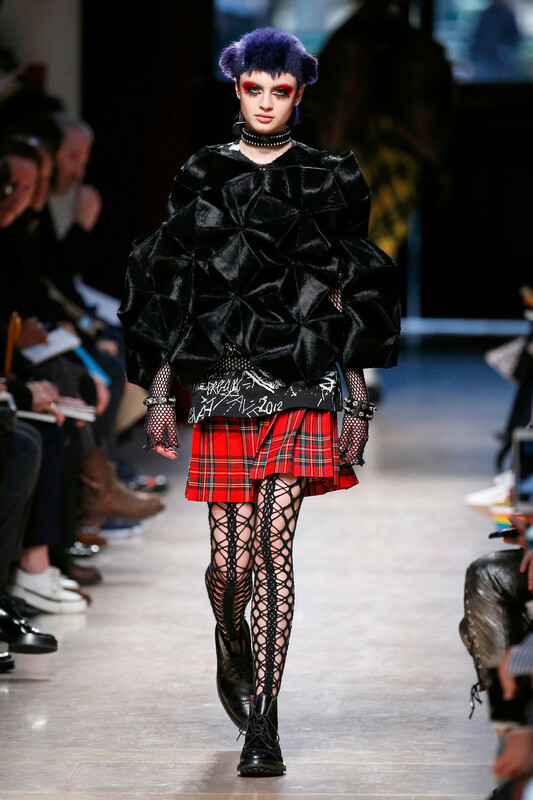 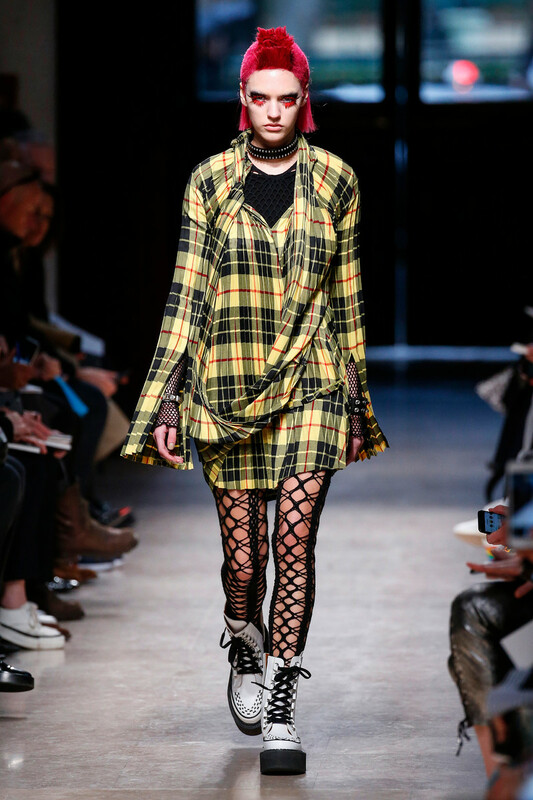 His punks were dressed in electric yellow and red plaids that were patchworked with black leather, sequins, traditional tailoring fabrics, a host of floral and jacquard upholstery plus leopard prints done the classic way. 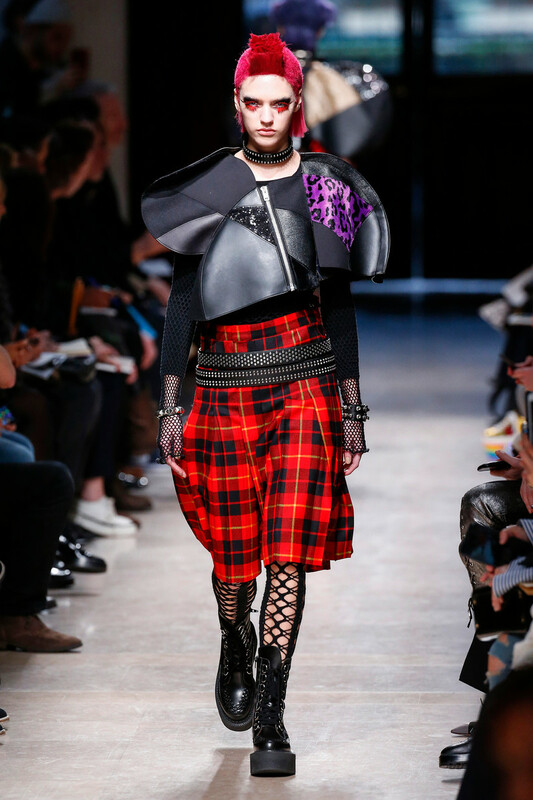 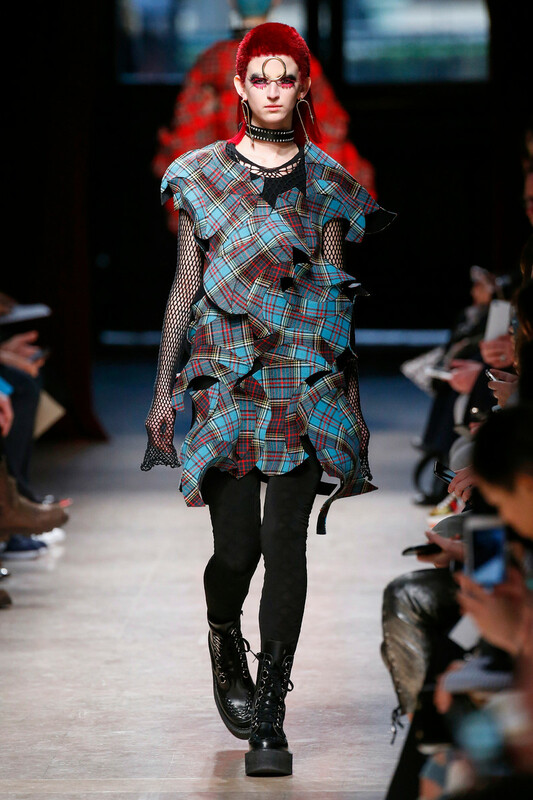 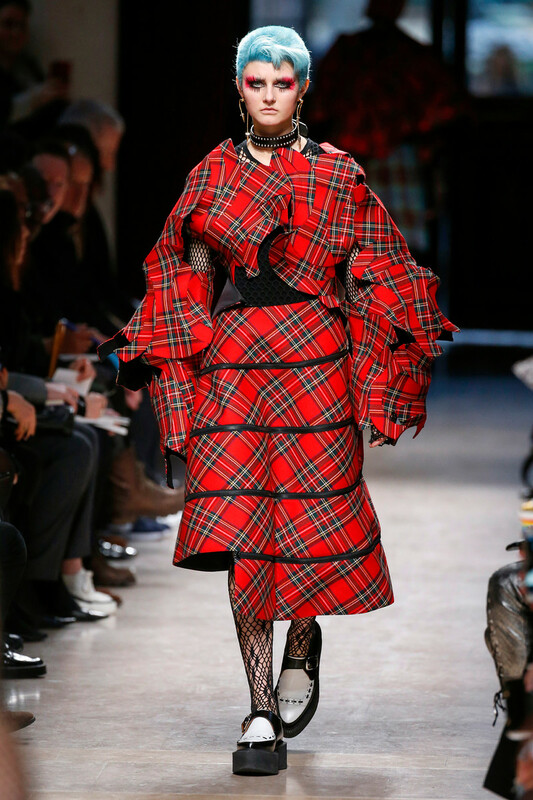 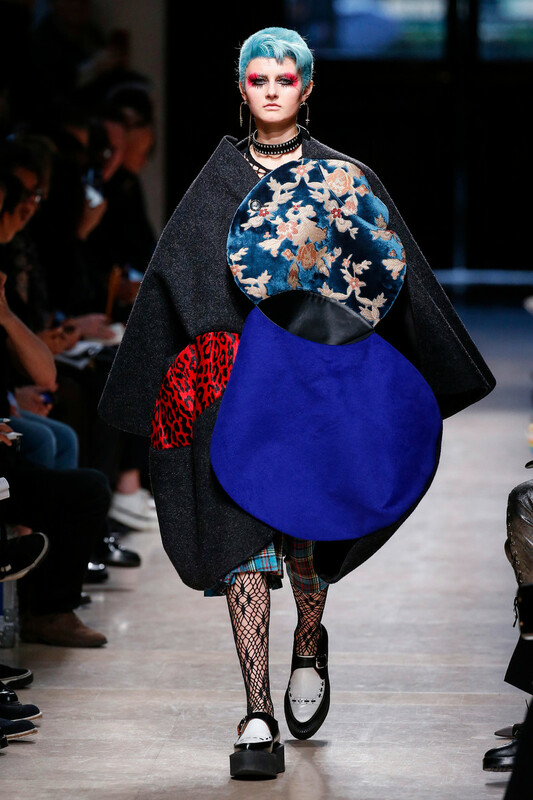 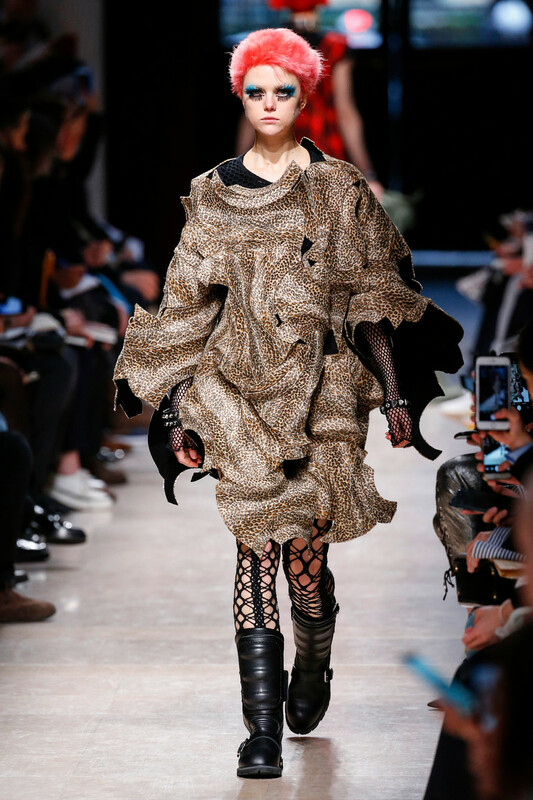 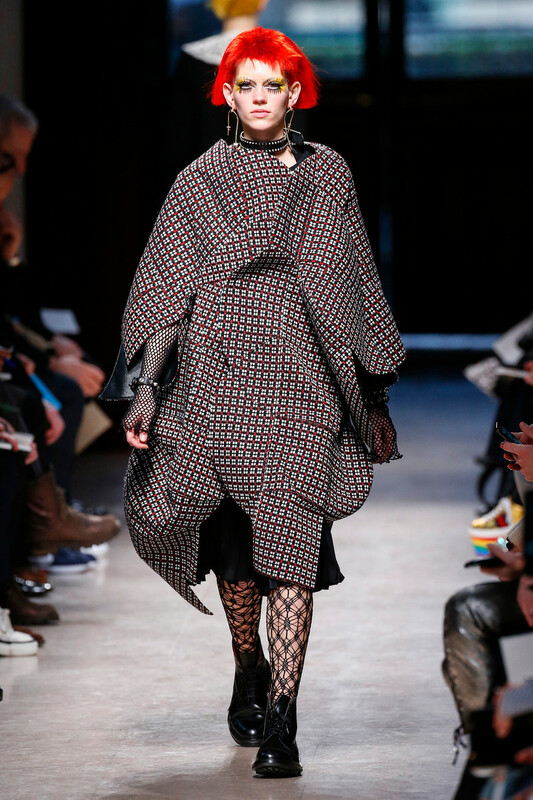 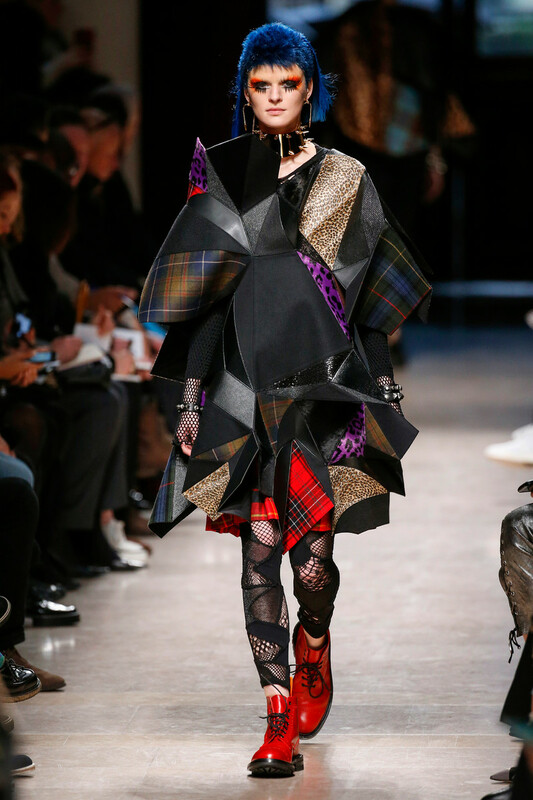 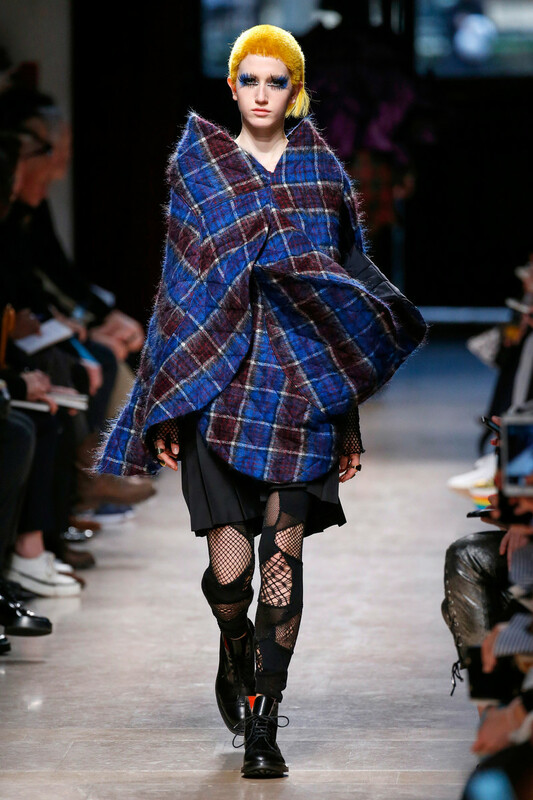 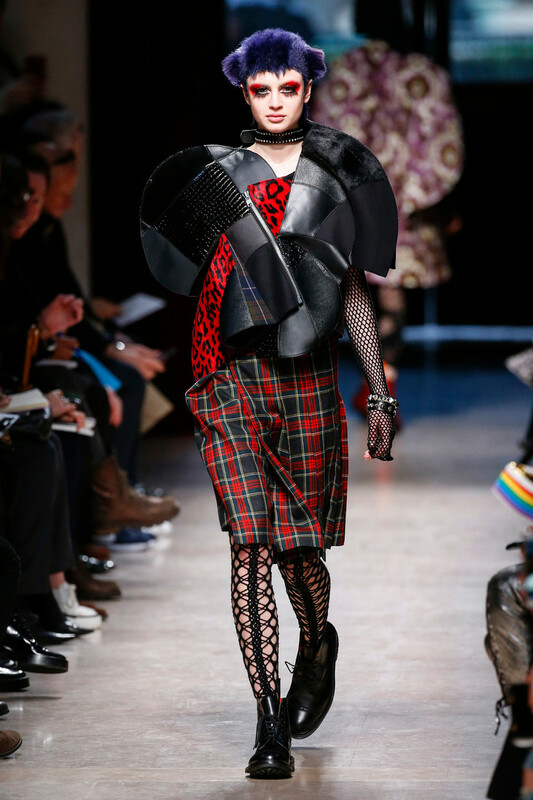 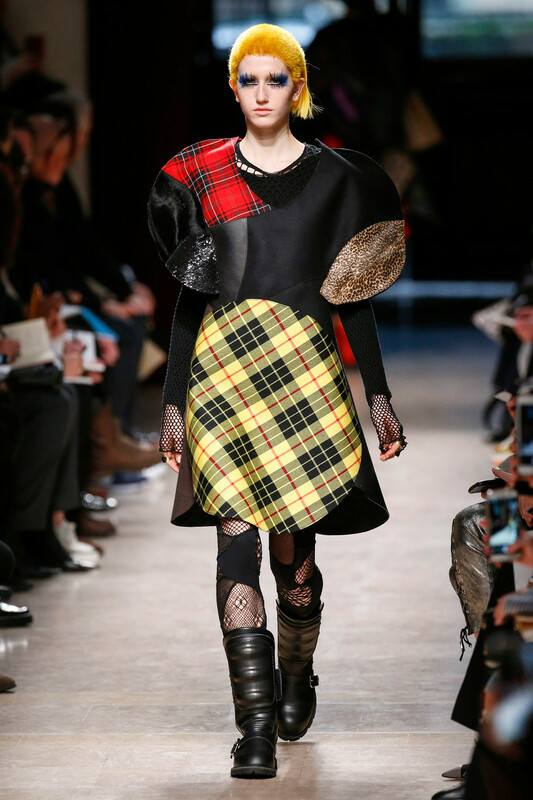 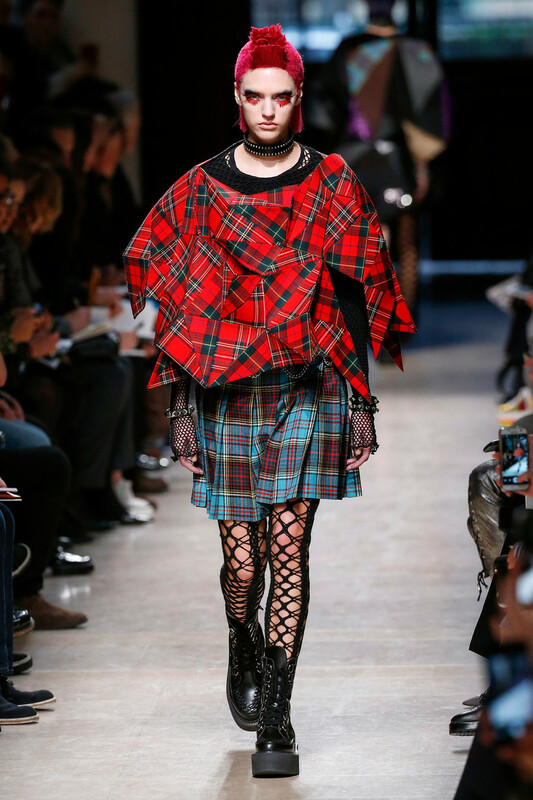 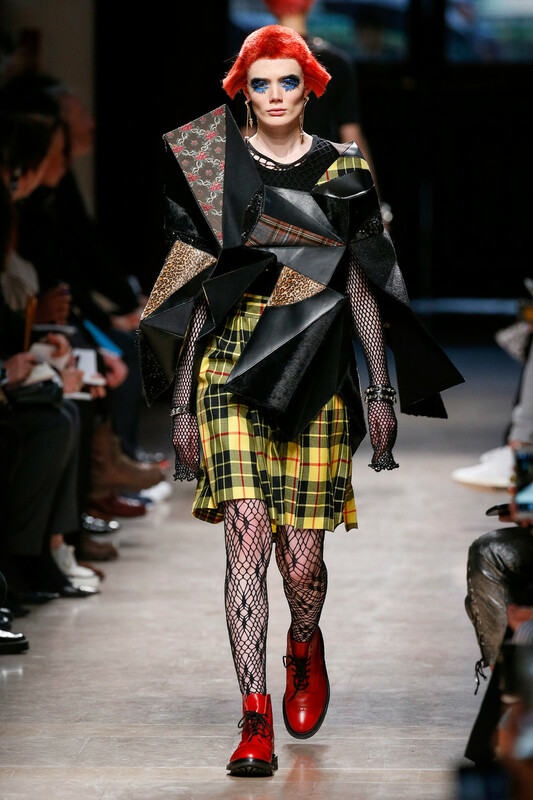 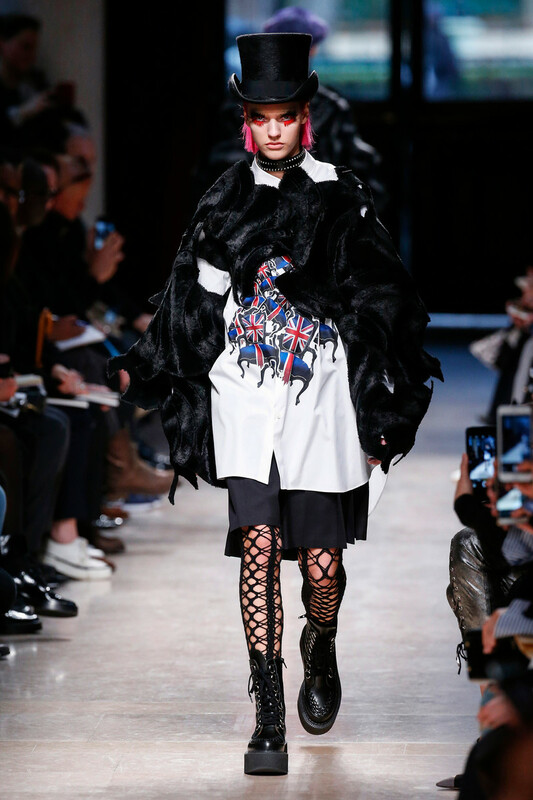 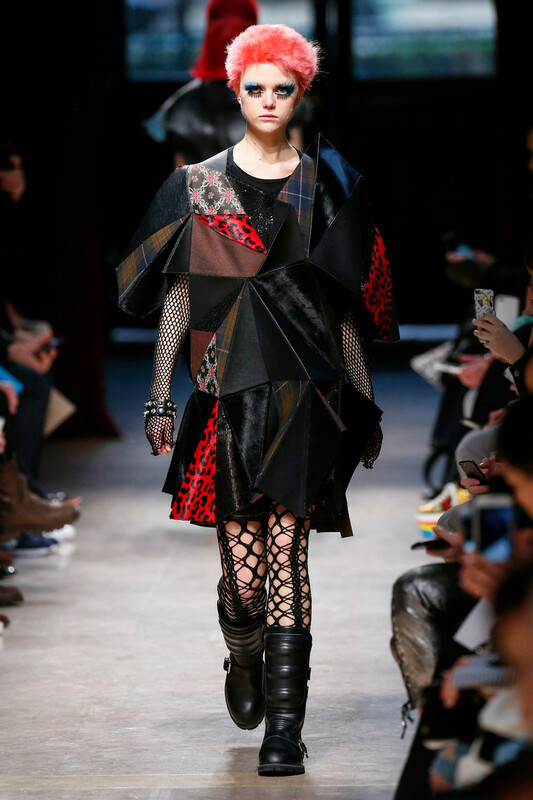 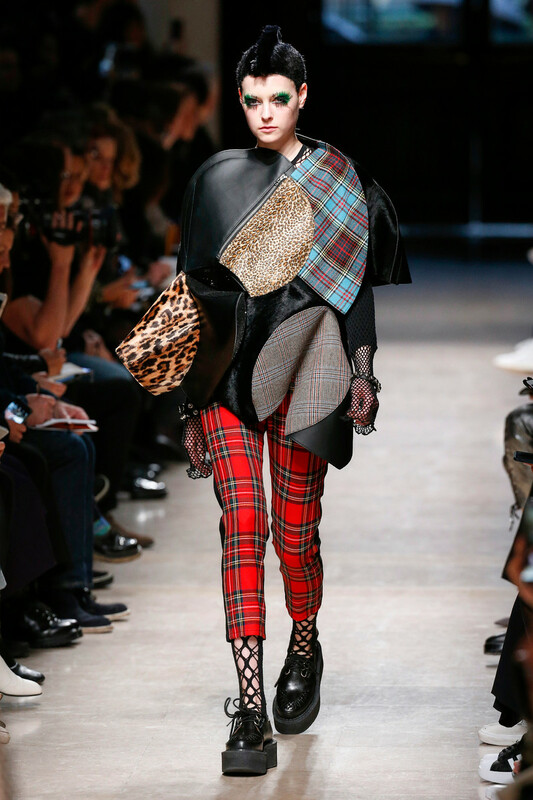 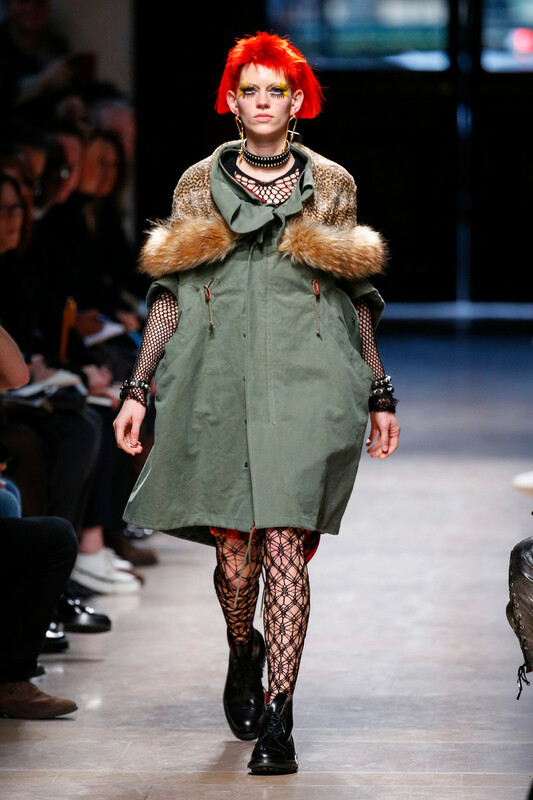 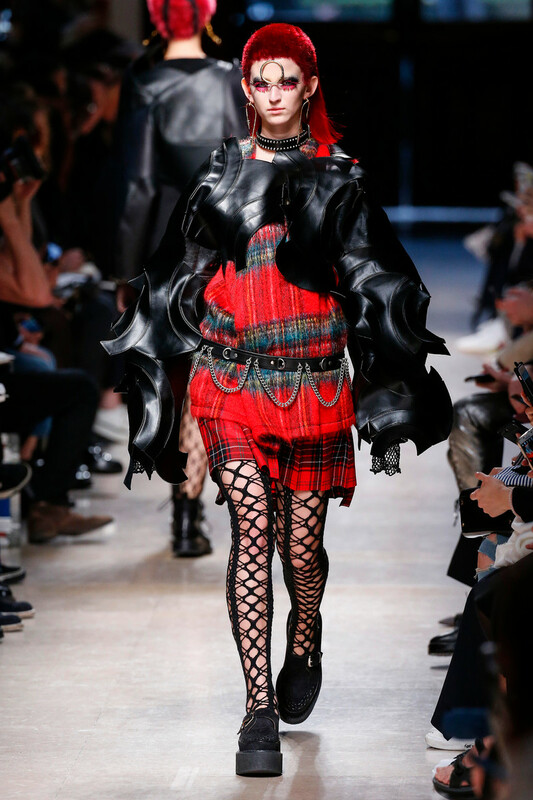 Everything was collaged: amorphorous capes and dresses crafted from circles and pointy triangles, some fused with motor jackets, many worn over pleated kilts and layered with fishnet sleeves and tights.